The Macan's front end has been re-worked so that it appears wider. Its headlights have LED technology as standard. SHANGHAI -- In a first for a German automaker, Porsche is starting sales of its refreshed Macan SUV in China ahead of other markets. Customers in China can now submit advance orders for the face-lifted compact SUV, which was unveiled here on July 25, for delivery starting in mid-November. European buyers will be able to configure the model starting next month. U.S. customers must wait until the first quarter of next year before receiving delivery. The China-first launch marks the latest sign that consumers in the world's biggest auto market might one day eclipse European and U.S. customers in importance in the eyes of automakers such as Porsche. 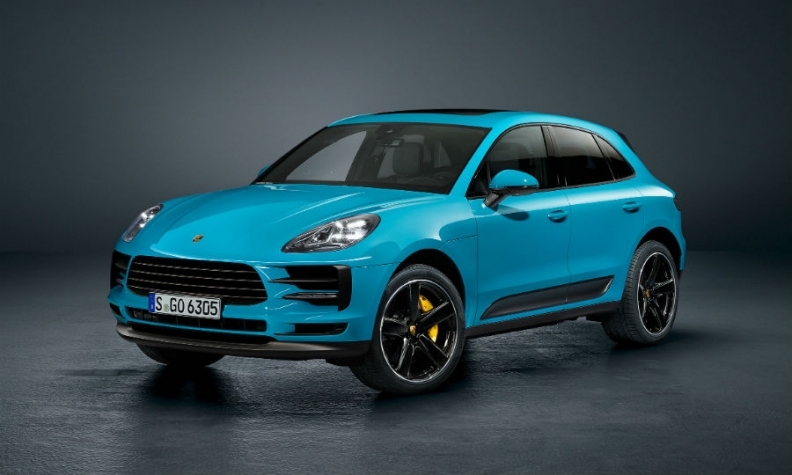 Not only is China is Porsche's biggest market for the Macan and larger Cayenne SUV, but it could be the company's largest overall market, surpassing Europe as early as next year at its current pace. Porsche usually first launches cars in Europe, due partly to practical reasons because all its models are built either in Germany or at parent Volkswagen Group’s factory in Bratislava, Slovakia. A European launch is easier for the company because the ramp-up can be closely monitored. Logistics are simpler and the homologation process is familiar. Dirk Britzen, Porsche's sales and marketing manager for SUVs, said the type approval process in China can be as long as six months but since the Macan is a product refreshment, the process was easier because there were only minor alterations compared with an all-new car. Porsche is not the first European automaker to launch a car in China ahead of its home region. PSA Group's Citroen brand launched its new C5 Aircross SUV in China last year with European sales following this year.